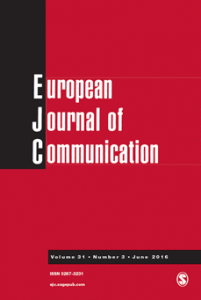 Last year, Slavko Splichal, who teaches communication science at the University of Ljubljana in Slovenia, reviewed Jörg Becker’s biography of Elisabeth Noelle-Neumann in the European Journal of Communication (EJC). Now, the EJC and SAGE Publications were obliged to retract his review because it contained numerous false and defamatory allegations. When Splichal wrote his review, it was publicly known that legal proceedings had been initiated against Becker and that his biography had been withdrawn by the German publisher Schöningh because it contained false and defamatory allegations. Even a case of scientific fraud had been detected: Becker cited an “expert report” by the renowned US specialist Robert Wolfe according to which Noelle-Neumann’s denazification certificate was falsified. However, Wolfe never wrote any such “report,” as he confirmed in a written statement. As a consequence, Becker was obliged to provide a cease-and-desist declaration subject to penalty for this false allegation. Even though Splichal was well aware of the legal proceedings against Becker and the withdrawal of his biography, he praised Becker’s book as “scrupulously” well researched and uncritically repeated all of his allegations – even those for which Becker had already signed cease-and-desist declarations subject to penalty. It seems obvious that Splichal was strongly biased by his hidden relation to Becker. Via SAGE, Splichal later explained that he did not deem necessary to mention legal proceedings in his book review. However, according to COPE guidelines, reviewers must alert editors to irregularities and misconduct.4)COPE guidelines state: “Peer reviewers (…) notify the journal immediately if they come across any irregularities, have concerns about ethical ...continue If a scientific publisher withdraws a book because it contains false and defamatory claims and if the author of the book has been obliged to sign several cease-and-desist declarations subject to penalty, a reviewer has to assume that the book is seriously flawed and must notify the journal editors. As if the mentioned academic misconduct was not enough, Splichal managed to violate even more ethical standards. For instance, instead of writing his own summary of Becker’s main findings, Splichal – presumably for reasons of convenience – simply translated a lengthy passage from Becker’s book but did not mark it as a quotation. According to COPE guidelines, cases of plagiarism must be investigated and may require retraction. Instead of investigating the case, however, the EJC editors and SAGE have remained silent. Splichal successfully destroyed the rest of his academic credibility by claiming in defense of his book review that Elisabeth Noelle-Neumann wrote an anti-Semitic article in Das Reich that not even Becker mentioned in his biography. Later, Splichal was obliged to tacitly concede that his allegation was solely based on hearsay (“… ENN is said to…”) and that in reality, this article does not exist. On September 14 and 15, 2015, the EJC editors and SAGE were informed via email that (a) Splichal’s book review contained false and defamatory statements, (b) Becker’s biography had been withdrawn from the market because of false statements and partly fraudulent data manipulations, and (c) Splichal did not disclose his conflict of interest. According to COPE guidelines, the editors should have reacted promptly to these indications.5)COPE guidelines state: “Editors have a duty to act if they suspect misconduct or if an allegation of misconduct is brought to them. This duty ...continue However, neither the editors nor SAGE Publications deemed necessary to respond to the two emails. It was only under the threat of legal proceedings in Germany that a collaborator of SAGE London finally responded on September 17, 2015. As a possible solution to the conflict, Ralph Erich Schmidt, Elisabeth Noelle-Neumann’s great-nephew, proposed to the editors and SAGE that in collaboration with a communication scientist, he might write a critique of Splichal’s review that could then be published in the EJC. This solution would have been in full compliance with COPE guidelines6)COPE guidelines state: “Encouraging debate. (…) Editors should encourage and be willing to consider cogent criticisms of work published in ...continue and would have presented the advantage of making Splichal’s mistakes and misconduct transparent and of launching a public debate. Inevitably, such a debate would also have uncovered the editors’ own mistakes and the failure of EJC’s quality assurance, and this is presumably the exact reason why the editors refused the proposal. According to the EJC editors, Splichal had not written his book review spontaneously but had been invited to do so by one of them. As yet the editors have refused to disclose the identity of the editor in charge. Moreover, they have not explained why – in derogation of scientific publication standards – the invited review was not declared as such. Finally, they have not explained why one of them took the highly unusual decision to have a book reviewed that had long been withdrawn from the market because of unlawful content. Why have the EJC editors tried so hard to cover up Splichal’s academic mistakes and misconduct? It is not really difficult to come up with a plausible explanation. Two of the three editors – Peter Golding (Northumbria University) and Helena Sousa (University of Minho) – collaborated with Splichal on a ECREA task force last year. Golding also co-edited a special issue of a journal with Splichal and co-authored at least one article with him. Moreover, Golding serves on the editorial board of the internet journal triple C, which is edited by the neo-Marxist author Christian Fuchs (University of Westminster), a close friend of Jörg Becker. Incidentally, Becker also serves on the editorial board of triple C.
According to COPE guidelines, the editors should have disclosed their own conflicts of interest and could have solved the problem by recusing themselves from the case and naming an ombudsperson or by referring it to COPE.7)COPE guidelines state: “Editors should have systems for managing their own conflicts of interest as well as those of their staff, authors, ...continue Instead, the editors dissimulated their own conflicts of interest, thereby suggesting that the ubiquitous reference to ethical guidelines on the EJC website mainly serves a decorative function. A summary of the legal conflicts over Jörg Becker’s biography of Elisabeth Noelle-Neumann may be found here. 1. ↑ In 1998 already, Splichal expressed his gratitude for Becker’s help in the following article: Communications, 1998, 23, p. 124, footnote 1.